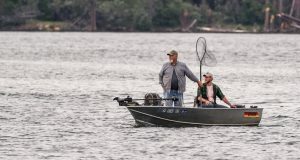 Home » Bass Lake » What Makes Third Graders So Thankful? What Makes Third Graders So Thankful? OAKHURST — What makes third graders so thankful? 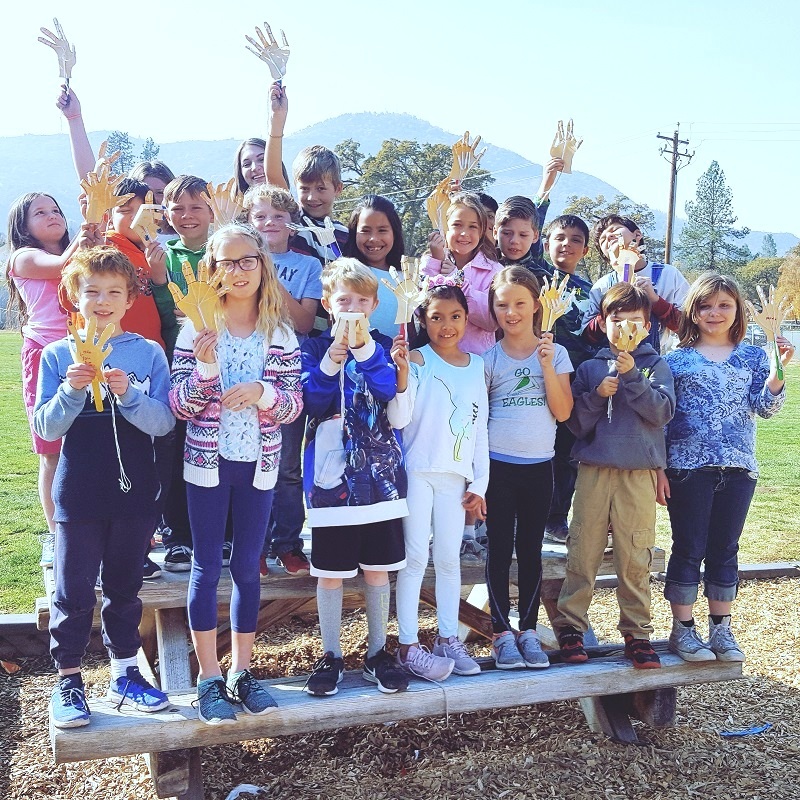 They are thankful for the incredible and fun activities going on at Oakhurst Elementary School (OES). The terrific third graders of OES have been busy with lessons on kindness, exploring learning through STEAM projects, and getting physical with PE. Mind-Up curriculum is designed to help students learn skills that help them focus in school and in life. This month’s focus was centered on kindness, gratitude, compliments and compassion. Third graders have been writing stories about gratitude, discussing and demonstrating acts of kindness, as well as practicing giving and receiving compliments. This tied in perfectly with World Kindness Day, observed on Tuesday, Nov. 13. Learning through Science, Technology, Engineering, Art and Math (STEAM), students are creating towers, rafts and mechanical hands. Future projects include peppermint racers, catapults, Native American dioramas and flashlights — just to name a few. STEAM provides students with a hands-on experience in learning. Students are also enjoying a robust, fun-filled action-packed PE program provided by Coach Mike every Friday. Coach does a tremendous job of organizing games that keep the kids active and engaged, all while having fun. Kids are also encouraged to participate in good sportsmanship and are praised for having a positive attitude. We feel so fortunate to have such an amazing PE program, coordinated by such a selfless and good-hearted person. Thank you, Coach Mike! 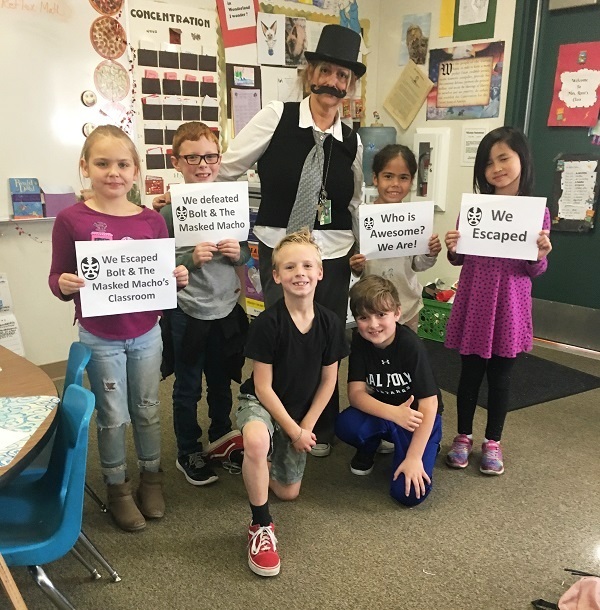 Wrapping up this month, some of our third graders also participated in an “Escape the Classroom” activity. 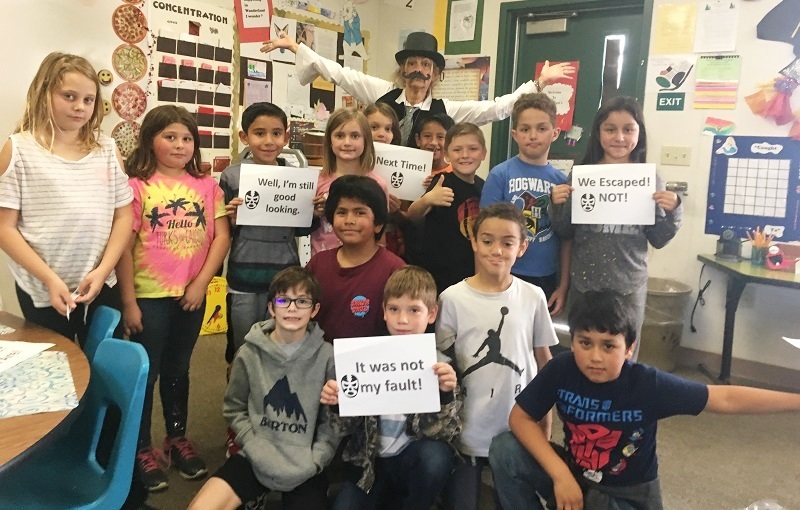 Mr. E. Scapes was here to help guide students in opening the key chest and escaping the class. While one team was able to set us free, all students learned valuable lessons in teamwork, problem solving and how to work together. So, in the end, the evil villains Bolt and the Masked Macho were defeated. Learning in third grade is so fun!